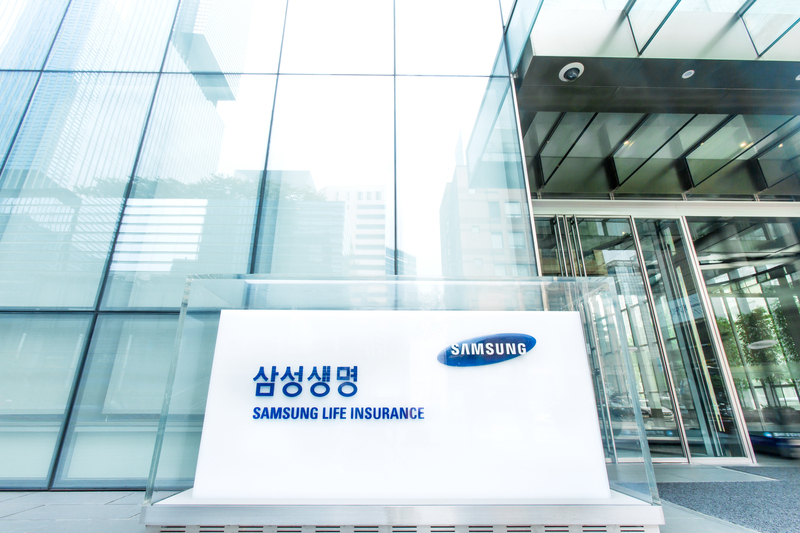 Samsung Life Insurance Co. posted a first half net profit of 1.445,9 trillion won, up 52.7 percent year-on-year, due mainly to the sale of its stake in Samsung Electronics amounting to 751.5 billion won, the company said on Aug. 10. The company’s combined financial statement for H1 showed that its first quarter net profit fell 30 percent YoY at 566.2 billion won. But that has been covered by an outstanding Q2 with net profit rising to 1.560 trillion won, up 178 percent YoY. The Q1 sales amounted to 17.242 trillion won, up 6 percent YoY while operating profit also surged 48.5 percent YoY at 1.992,4 trillion won. The sale of the stake (22,980,000 shares or 0.35 percent) in Samsung Electronics brought in 751.5 billion won which was included in the Q2 net profit which nicely covered up for the fall in the preceding period’s net profit, the company said. The company’s outstanding Q2 results were said to have corresponded with the projections for the life insurance industry’s operations for the rest of the year. Officials of the company said the company will be able to keep its business going in good shape for the rest of the year centered around the guarantee type insurance products leading the surge. In 1957, Samsung Life Insurance was founded on the management principles of promoting a culture that treasures family values and making contributions to society and ultimately, the nation, President Hyun Sung-chul said in his statement on the company’s webpage. For 60 years since its inception, Samsung Life has strived to protect the lives and the wealth of people with its insurance services. Our efforts have been recognized by Korea’s most prestigious National Customer Satisfaction Index (NCSI) as we ranked No. 1 in the life insurance category for 14 consecutive years. With our total assets reaching KRW 283 trillion as of December 2017, we have an unrivaled market leadership in Korea. Samsung Life is dedicated to becoming a global top-tier financial institution through relentless innovations. Samsung said it is focused on laying the foundation for future growth based on the customer-oriented management approach, where it places customers first in everything they do. Also, Samsung innovates continuously with a forward looking perspective in order to identify and capitalize on growth opportunities in the 'new normal' era of low growth and low interest rates. Going beyond our success in the domestic market, Samsung endeavors to grow into a global top-tier insurer. “With our business concept of 'nurturing people with greater love to build better financial security', we will share the love, which we have received from customers, with society. We promise to fulfill our duty as a corporate citizen,” the company said. Systematic CRM (Customer Relationship Management System) for satisfactory customer service and product sales. “Samsung Life FC consults individual customers to find the optimum plan that could be applied to their life cycles. Our SA (Samsung Life Advisors), our consultants who are dedicated to giving loans, TC (Total Consultant), AM (Agency Marketing), CM (Cyber Marketing), and other channels are there to help customers understand our products,” the company said.